The solid polyurethane bushings increase engine performance by offering a much more solid surface, allowing your engine to redirect more torque to the ground while also enhancing the mount's durability. When you hear the words Audi R8 you most likely think of a stylish sports car capable of awesome performance output. Something you may not know is how much trouble the R8 and R10 models have with their OE engine and transmission mounts. 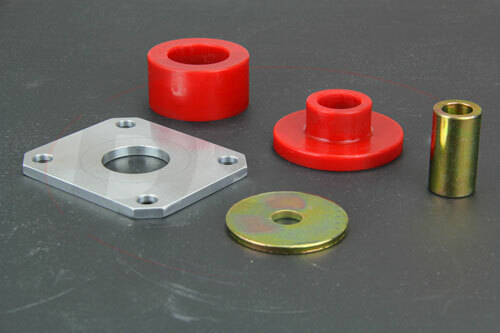 The mounts initially installed in the R8 and R10 are hydraulic mounts. 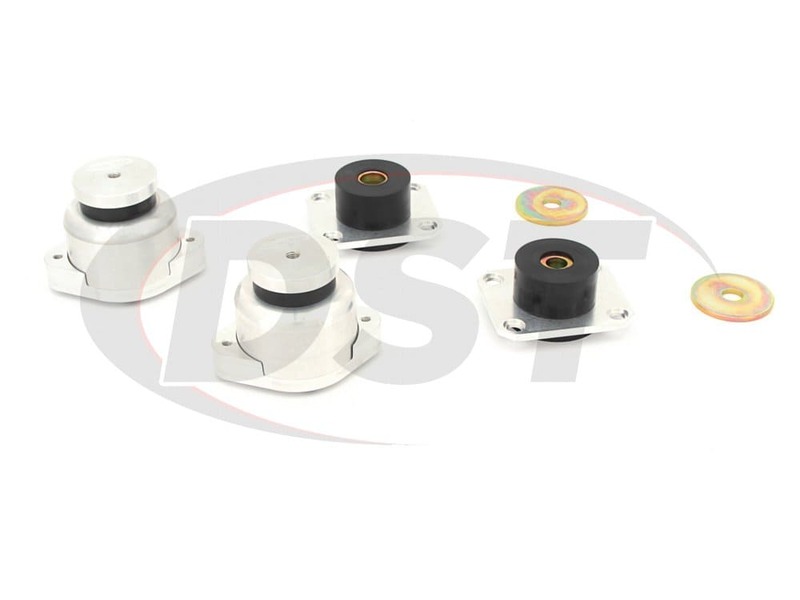 The mount itself is hollow and uses oil with electronically controlled hardware to help regulate the engine vibrations and overall performance. With the amount of power the Audi is outputting, the hollow mount, not to mention the electronics, doesn't hold up for long. 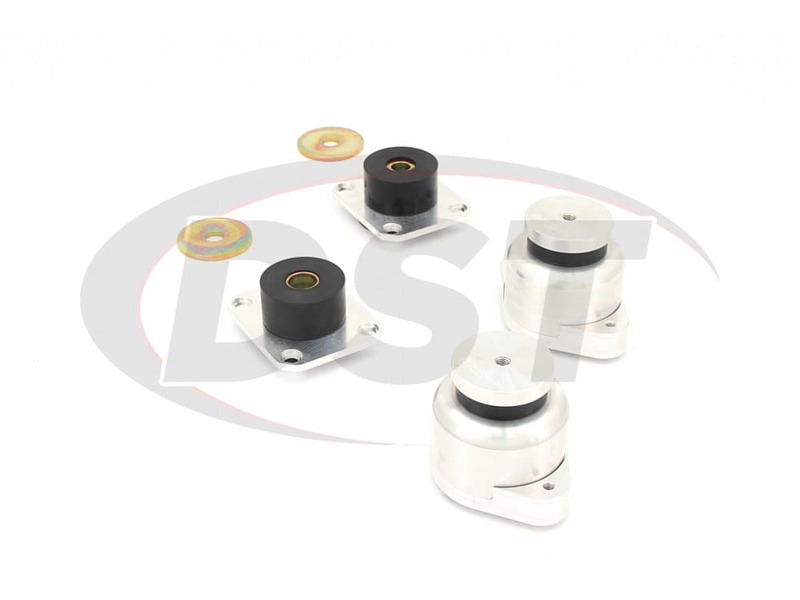 Once the mount wears out the engine will start rattling other parts loose and the mounts will crack and start to leak oil. To even reach the motor mount positions you have to pull out the entire engine. The difficulty of this repair, coupled with OE replacements sporting a price tag over $1400, adds up to one very expensive trip to the garage. 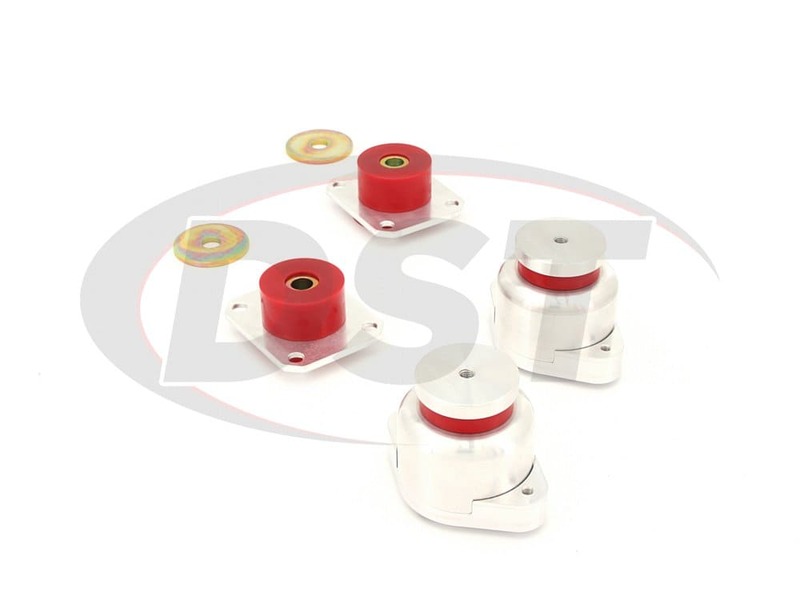 This is Prothane's 2-1600, a set of complete replacement motor and transmission mounts for the 2000 - 2005 R10 and the 2008 - 2012 R8. 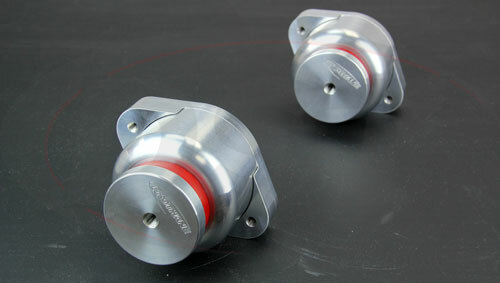 These mounts feature Prothane's polyurethane bushings as well as billet aluminum casings. 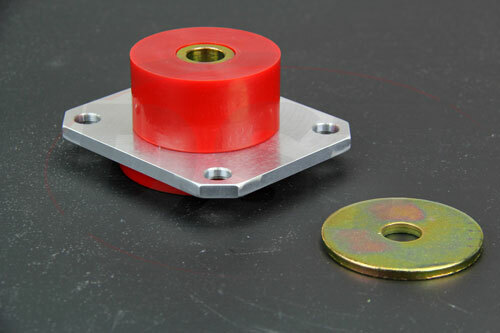 The solid polyurethane bushings increase engine performance by offering a much more solid surface, allowing your engine to redirect more torque to the ground while also enhancing the mount's durability. 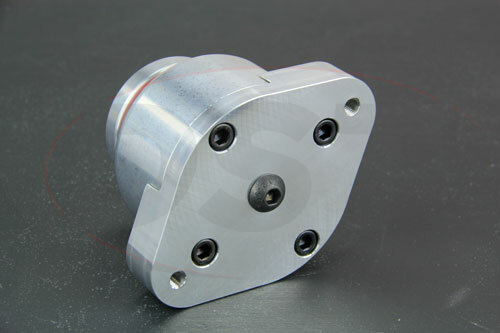 The billet aluminum casings offer great protection for your new mounts and further increase the mount's strength while simultaneously keeping your weight low. 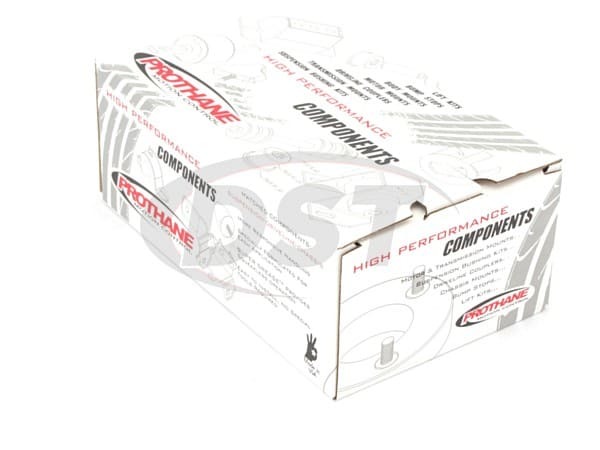 While those $1400 OE replacements will likely fail just as fast as your first set did, the polyurethane used in the 2-1600 can stand up to both the intense heat and the pressure created by your Audi. 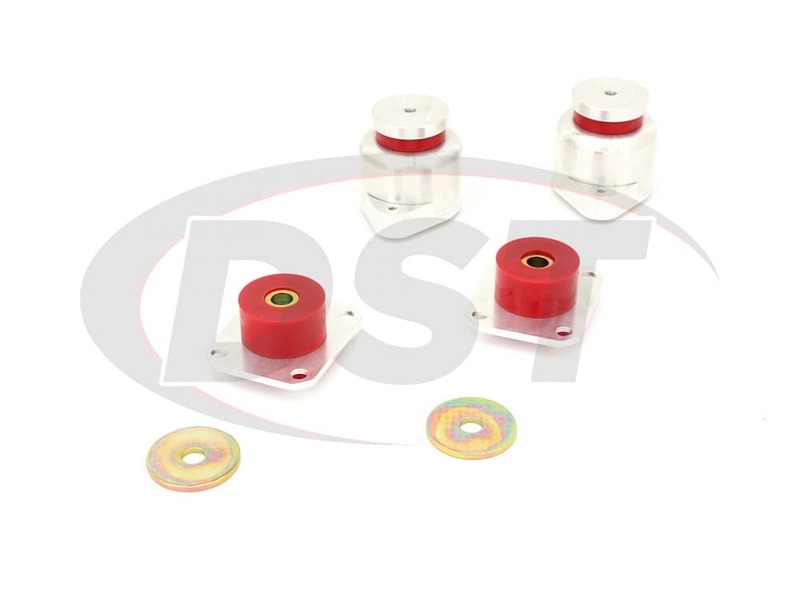 In addition, the 2-1600 is backed with Prothane's lifetime warranty handled in house here at DST.